A simple chocolate bar is one of life’s underrated pleasures. As kids, coming across a chocolate bar was like discovering a bar of literal gold. Even as an adult, the occasional chocolate bar never loses its lustre. With dozens of choices out there, there is no shortage of options to get your chocolate fix. Some bars are more worth your time and the calories than others, so, if you’re going to indulge, it may as well be something that sparks joy (shoutout to Marie Kondo). A few qualifiers: To land on this list, it had to be a bar (which excludes entries like Reese’s Peanut Butter Cups, and Smarties) and it also must contain chocolate (which takes Hershey’s Cookies ‘N’ Creme out of the running). 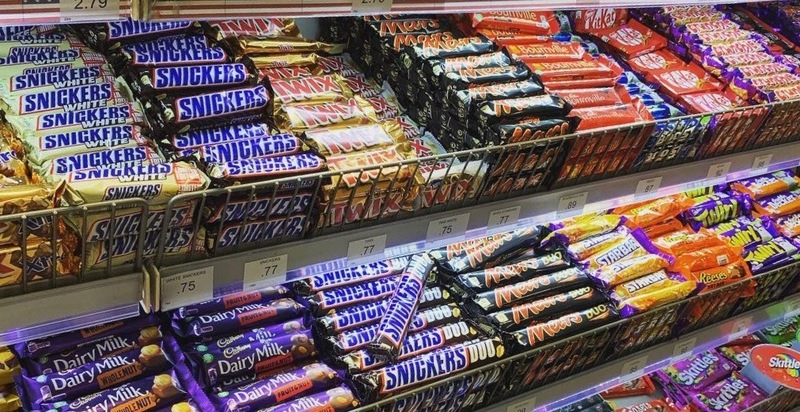 In no uncertain terms, this is a definitive list of chocolate bars ranked from worst to best. In some people’s mind, the Big Turk is a Turkish delicacy. To others, it’s a sick joke – a bizarre licorice-like substance covered with chocolate. Whose grandparents were the mastermind behind this trick, anyway? Considered to be the low-quality version of the Aero bar below, Mirage also loses points compared to Aero for the lack of flavour varieties. Aero’s magical “chocolate bubbles” are great. The problem with Aero bars is they’re so damn light and it feels like you’re getting ripped off. If the bubbles account for 30 percent of the bar, doesn’t it mean you’re getting 30 percent less chocolate? It wasn’t until years later that most people discovered you can just buy straight-up sponge toffee. Crunchie bars also come with that borderline teeth-hurting-crunch. If you enjoy the taste of Mars bars but prefer a substandard comparable, then 3 Musketeers is for you. This is usually a last-ditch effort to inject some chocolate into your day, but there’s nothing wrong with a straight-up Hershey Bar. It does exactly what it’s supposed to. Apparently, Mr. Big is one of the largest-sized chocolate bars in Canada. Feel free to make your own joke here. Much like the Hershey Bar, there’s nothing incredibly special about the Jersey Milk, which makes it the perfect vessel for a s’more. The Oh Henry! ranks middle-of-the-pack on this list, but if you ever spot the elusive peanut butter Oh Henry!, it will change your life. You may not like coconut – which is totally cool – but before you completely write it off as an ingredient, try a Bounty bar. There’s something about it that evokes a tropical feeling. It’s pretty powerful stuff people. Chocolate, peanut butter, caramel – what’s not to like? The Wunderbar takes everything that’s great about chocolate bars and marries them in perfect harmony. If you’re a generous person, you usually share a Twix bar with the next closest person. Or if you’re George Costanza, you want to get your grubby hands on all the Twix for yourself. There is a systematic method to devouring a Caramilk bar. If you know someone who attacks a Caramilk outright like a conventional bar, you should reevaluate your relationship with that person. You snap and bite each square separately. That’s how Caramilk is meant to be enjoyed. A weird Canadian delicacy, but one that seems to get better with age. The coffee-flavoured wafer bar is a unique treat that screams “Canada.” It also evokes fond memories of those sweet old ladies from that classic Coffee Crisp commercial. Yes, you’ve probably had that chocolate-soda-cracker concoction masquerading as a Skor bar. Just save yourself the trouble and grab a couple of authentic Skor bars instead. It’s also one of the best bars on the list as an ice cream topping. Snickers is a well-built chocolate bar. In a word, Snickers is “dense”. With the sheer weight of these things, it always feels like you get your money’s worth. It’s a wonder they’re able to pack nougat, caramel, and peanuts underneath the hood. Another Canada-only exclusive to the list, which makes you wonder why the rest of the world hasn’t caught on to this beauty. Crispy Crunch does everything right where it’s American cousin, the Butterfinger, goes wrong. Some of the best things in life are often the simplest. Case in point, the modest Mars bar. There are no frills here, just chocolately, caramely, nougaty goodness. Is there anyone in their right mind who doesn’t love a Kit Kat bar? Four wafers perfectly coated in milk chocolate. It’s the gold standard for chocolate bars in Canada.